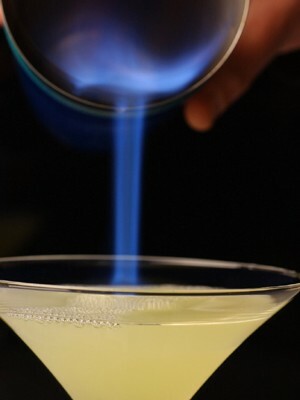 Set the Cointreau on fire and pour it into the cocktail glass in front of the guest. Shake and pour with some ice cubes into a cocktail glass. Add 1oz of soda water or Sprite. 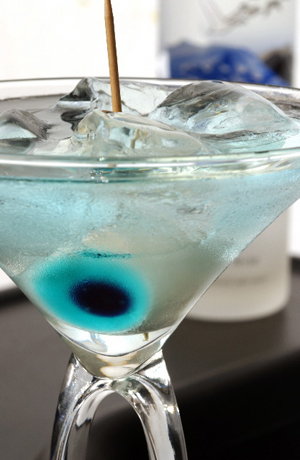 Garnish with an eye shaped candy.